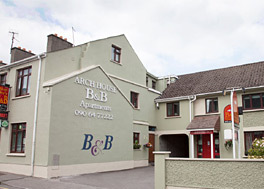 Irish apartotel Arch House Apartments has witnessed 23% increase in online sales with efficient rate and availability distribution through RateTiger. The property offering 13 rooms and 10 self-catering apartments in Athlone, has been using RateTiger Channel Manager since 2013 to manage online sales channels in real-time. “We work with a number of online demand partners including the likes of Booking.com, Expedia and In1 Solutions to name a few. eRevMax offers a wide network of channels which makes it easy for us to pick and choose who we want to work with. Not only do they offer a good mix of channels, they ensure the connections are smooth and stable so that updates are delivered in real-time,” said Chris Moran, Co-owner, Arch House Apartments. “I cannot imagine running my daily operations without RateTiger. The team has experienced immense time savings in managing online distribution as the channel manager makes it easy to update rates and availability on multiple channels in a click. It is very important to have solutions that work for you rather than those that make you work. RateTiger is one such example. We have experienced an overall growth in business and our occupancies have gone up significantly,” commented Chris.